What Can You Expect From Your Carpet Cleaning Technician? Walk-thru & Inspection: You've called us because of a problem and we want to hear about your concerns so that we can provide you a professional solution for that problem. We'll walk through your rooms/areas of concern and note problem areas and educate you on what solutions are available. At this time we'll also confirm our pricing before we begin any work. Furniture Moving: We will slide furniture out and clean under it and place foam blocks or plastic tabs underneath the legs of those items. We move couches, loveseats, chairs, and moderately sized items without breakables or electronics on them. We do not move china cabinets, dressers, beds, or other heavy items due to safety and health concerns. If you have a question whether we will or will not move an item please ask. Pre-Conditioning & Spotting: This part of our carpet cleaning process is where we start applying our amazing safe cleaning solutions. First we tackle spots such as grease, wine, koolaid, and other spots with out specialty spotting products. Next we apply our general cleaning solution that breaks up the soils and oils within the carpet fibers and gets them ready to be extracted. Cleaning & Rinsing: We use our truck mounted carpet cleaning machine to rinse and extract the soil, leaving your carpet soft, fresh, and clean. Fast-Drying: There is nothing worse than carpet that is damp for days after professional cleaning. With Curtis Fiber Cleaning, you won't ever experience that problem. We use special carpet drying fans so that you can get back to using your carpet quickly. Carpet Protector & Groom: We can apply a carpet protector that can extend the life of your carpet by 50% more than the normal lifespan. Our carpet protector helps to shield the carpet fibers from dyes from liquids and soils from penetrating the fiber. One of our Green Carpet Cleaning options is Host Carpet Cleaning. Host Carpet Cleaning is a Dry Extraction process. Carpets are ready to use immediately after we are done cleaning. The Host cleaning process is green seal certified. Host is one of the most environmentally friendly ways to deep clean your carpets. Not only does it remove soil but it also removes 94% of dust mite allergens and 97% of mold spores. It also removes a large portion of other allergens from cats, dogs, dust and pollen. This is a great thing for anyone looking to improve their indoor air quality. People with asthma and allergies know just how important the removal of these indoor contaminants can be. Not only is Host Dry extraction process effective but it is also a renewable cleaning method. The United States Department of Agricultural has certified that Host Dry extraction cleaners are 100% certified Biobased. Host is the only Dry carpet cleaner to get this Biopreferred rating. Made of 100% plant based resources and a small amount of water Host Carpet cleaner is an effective Green cleaning choice. Not only is Host Carpet Cleaning a good choice for our residential customers but our commercial customers can benefit greatly from this method as well. We can put a commercial maintenance schedule together that is customized to your exact needs. Weather it is for a condo building, apartment building or office space we can tailor it to your needs and budget. 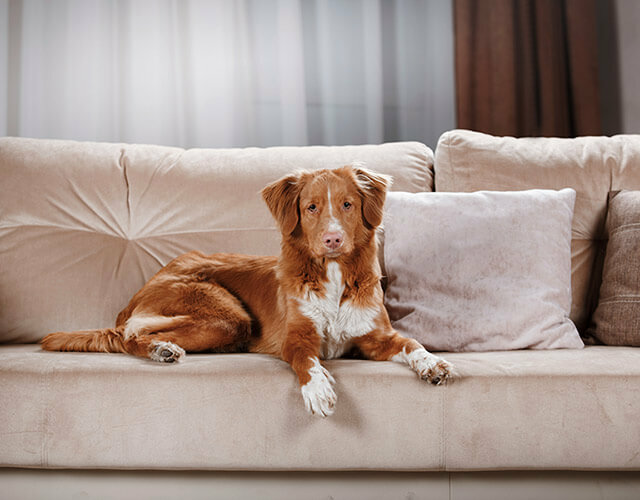 If you have pets, children or entertain often there's a good chance your upholstery and furniture need some love. Hair grease, body oils, food and drink spills and pet hair can damage your upholstery and cause them to look like they've had better day. The good news is - you can have furniture in your home that’s clean, healthy and looks fantastic with a simple call to Curtis Fiber Cleaning! Unlike your typical carpet, the textiles used in furniture and upholstery are often a blend of natural fibers such as wool, cotton, jute silk and rayon. Even some synthetics require knowledgeable and specialized care to clean properly. You can trust your upholstery to the IICRC trained and certified technicians at Curtis Fiber Cleaning. Using our truck mounted machine along with state-of-the-art designed cleaning tools, carefully developed processes, proven cleaning techniques, and the top safe cleaning products available. Our cleaning technicians can give your upholstery a deep clean and the specialized care it deserves. Our customers have reported a much better cleaning reaction from the carpet and upholstery that have been previously protected by our specially formulated carpet and fabric protector. We can even apply this protection to your brand-new furniture! It can be challenging to choose a store-bought pet odor removal product to use, especially since some of them can make big promises and often do more damage than good. Depending on your carpet, the product of your choice may work at all, leaving you with frustration and a big mess on your hands. Professional strength products can create a unsafe environment in your home, putting the well being of you and your family at risk. Immediately remove as much of the pet spot as possible without rubbing the carpet. Blot up the pet spot with a clean white towel, working from the outside towards the center. Pour a small amount of water or sugar-free club soda on the pet spot, and blot again. Using anything else may cause further damage to the carpet fiber and color. How Do We Remove Pet Odor? We offer two types of pet odor removal. If we're dealing with a 1 time accident the topical odor removal process will likely work, however; as you’ll read below, if your pet has used a specific area multiple times we’ll need to use a more advanced approach to remove the odor. We use a special product designed specifically to remove pet odors such as pet dander, feces, and urine. Our product attacks the odor at a molecular level digesting the odor causing bacteria. We allow the product to dwell so that it can work and then we use a tool that extract the product and odor causing source from the pad and carpet. We'll treat the spots multiple times to thoroughly flush the carpet and rid it of the odor. Once we're confident we've flush the carpet as best as possible we tackle any staining of the carpet fiber. If your pet has had multiple accidents this process is more invasive than the topical odor removal. We pull the carpet back and remove any affected underlayment or padding. We do this because multiple accidents will destroy the structural integrity of the pad and cleaning isn't a viable solution to remove the odor. After the pad is removed we clean, treat, and seal the subfloor. Next we treat the carpet and flush the backing and top carpet fibers to remove any odor causing materials or substances. Finally, we re-install fresh pad and we re-install the carpet. Note: In some cases, the pet may have marked surrounding HVAC supply vents, baseboards and wall materials that can absorb the odor causing substance. 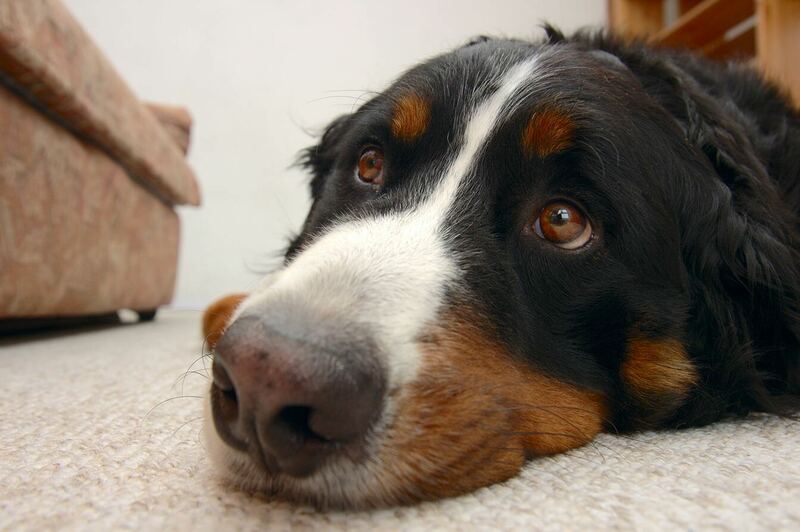 Our restorative pet odor removal service is designed to bring your carpet back to a healthy and safe condition but does not address the issues noted. Without regularly scheduled mattress cleaning, over time, sleeping on your mattress can be lead to an accumulation of dust, dirt, pollen, stains and germs. It can also be an invitation to dust mites. That’s because the average person sheds millions of dead skin cells each day, most of which winds up in our mattresses. And dust mites feed on dead human skin cells. One university study reported that a used mattress can have up to 10 million dust mites inside of it! Don’t want to spend thousands of dollars on a new mattress? Then get your mattress professionally cleaned at considerably less cost. When you hire a professional with the experience and equipment to effectively clean your mattress, not only does it extend use of your mattress, but it keeps your mattress safe and healthy for your family. Drapes collect dust, allergens, odors and other pollutants in them causing them to darken over time. With our drapery cleaning process, we can clean your drapes in place without having to remove them and without ruining the hems, pleats, and absolutely no shrinkage. We use advanced drape cleaning technology that allows to give you the same great results as if we cleaned them off-site. 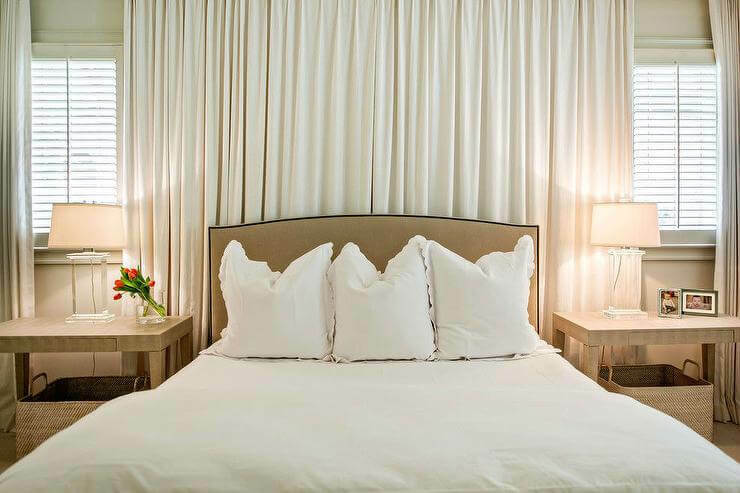 An additional benefit to our on-site drapery cleaning service is that you're not inconvenienced with privacy issues and the need to put up temporary window coverings while waiting for them to be cleaned.